Amazon Allegedly Poached eBay's Top Sellers. No Surprise There. 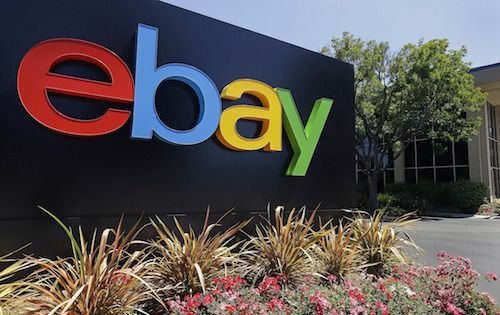 eBay has filed suit against Amazon, claiming the e-commerce giant's sales representatives illegally solicited hundreds of the online marketplace’s top sellers. Given Amazon’s growth obsession, history of pushing limits and penchant for poaching, eBay’s allegation is far from absurd. Dozens of Amazon sales reps across seven countries set up eBay accounts to access the platform’s member-to-member email system and persuade hundreds of high-value sellers to jump ship, according to the lawsuit. eBay claims they broke the rules by sharing contact information and coaxing other users to join a competitor. It cites plenty of evidence of a coordinated campaign: the sales reps allegedly opened multiple accounts in a matter of weeks from devices with Amazon IP addresses, solicited sellers within minutes of joining, disguised their emails and phone numbers to avoid detection by eBay’s software, never tried to buy or sell anything, and even asked sellers for feedback on their approaches to share with their supervisors. Amazon may have resorted to underhanded tactics in response to outsized expectations. The company increasingly relies on third-party sellers to meet Wall Street’s growth targets: they generated more than half of the company’s global unit sales for the first time in 2017. Connecting buyers and sellers allows Amazon to offer more products and make more money, as it takes a cut from transactions, charges sellers for services such as storage and packing and avoids some of the usual costs of selling. It may have felt pressure to boost third-party sales and couldn't drum them up any other way. The alleged actions could also have stemmed from a reckless corporate culture. eBay's lawyers frame them as “part of a larger pattern of aggressive, unscrupulous conduct” that’s reflective of Amazon's “mindset and business model”. They back up their claim by citing reports of Amazon’s ruthless, hyper-competitive work environment, where workers cry at their desks and underperforming staff are culled with zero regard for personal crises such as cancer. Amazon has faced similar criticism over its treatment of warehouse workers, subject to such strict monitoring and productivity targets that they urinated in bottles. A history of secretive poaching at Amazon lends further weight to eBay’s claims. It reportedly tried to poach employees from one of its own cloud-computing clients. Jimmy Wright, a retired Walmart executive, lured a dozen of the retail titan's employees to Amazon in 1999, according to The Everything Store. Moreover, one recruit stayed at a friend’s house rather than a hotel and interviewed in a Starbucks instead of Amazon’s offices to stay off Walmart’s radar. Eventually, Walmart sued Amazon for attempting to steal trade secrets in the late 1990s. Ironically, Amazon sued eBay for the same reason in the early 2000s, after its treasurer decamped to the auction site. Amazon’s past scandals include underpaying and mistreating its workers, avoiding taxes, removing competitors’ products from its website, engaging in price discrimination and selling counterfeit, offensive and illegal items. Sneakily poaching eBay’s top sellers isn't a stretch for a company that relentlessly pursues growth at almost any cost. Its landmark introduction of a $15 minimum wage in the US suggests its priorities may be shifting, but this latest lawsuit will sow fresh doubts about the company.